The answer contained in this article is to ask for more and receive exactly what you want. However, this advice is widely known to many, yet very few can master its execution. Receiving what you want from the world around you greatly depends on how you go about in asking for those things. Always remember that your desires for wanting whatever it is that you want must be backed up by reason. Nobody can have what they do not deserve, so the first thing you must be sure of is that you truly feel like you deserve what you are asking for. When you begin your task in asking for something which has not been given to you as of yet, you need to be honest in your intentions. Be honest with both yourself and your listeners. Honesty, in this case, takes form of expressing all the motives at play surrounding the ask at hand. You must express to your listeners what the thoughts are inside your mind for wanting what you are asking for. This blatant truth is a breath of fresh air and is a welcomed difference from people who try to sugarcoat their demands with obscure and unrealistic reasons. Total honestly in explaining the reasons why you’re asking for more shows your listener that you wholly believe in your qualifications in receiving these demands. A person who believes that they deserve what they are asking for does not worry about letting all his/her intentions known. They are confident in that their reasons warrant asking and receiving more than they currently are. If you feel like you deserve as much as others are getting, then say so. Tell your listener your motives even if they are embarrassing or upsetting. You need to pretense everything that you are asking for with absolute honesty and align what you tell them with what drives the actions of you asking for more. For this step in the process to work, you might need to come to the table with factual evidence behind your intentions. If you have determined that there are facts backing your argument for asking for more, this is the step where you must present these facts. Facts are a part of forming the reasons for why you are asking for what you are. So do not withhold any factual evidence, and make it align with the honest motives which you have presented. When you make your intentions clear and understood by all parties involved, it becomes time to ask for whatever it is that you are asking for. Before you do so, you need to clearly establish – for yourself – what will be nice to have and what you absolutely need without compromise. This is the only information that you should withhold from your listeners. This information will form your initial request. Ask for what you have determined will be nice to have. Expect your listeners to always negotiate in the process of asking for more, so you must play it safe by asking for what you think would be nice to have but not absolutely necessary. Everything we desire can be made just a little bit better, and that’s what you should ask for in your initial request to your listeners. You must still honestly feel that you deserve what you are asking for however, and not go overboard with your demands. We all deserve nicer things, getting them is a different story. Know what you deserve and label different versions of it as nice to have and absolutely necessary to have. If you receive what you ask for in your initial request, then great. However, if you were met with some push-back, then you need to have your firm stance readied. You should not negotiate in more than two iterations. You have two options of getting what you want: the nice to have (which has been declined), and what is absolutely necessary (which you must now present). 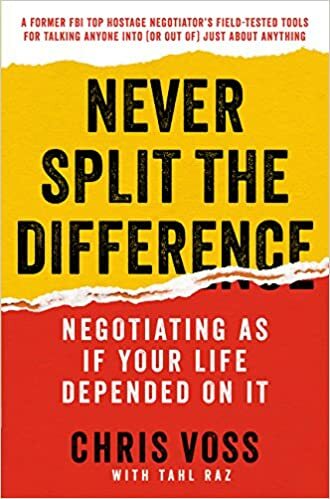 If you haggle your way down to the absolute necessity, it will lose the power that it holds in negotiation. If your nice-to-have ask has been declined, present the case of absolute necessity. Explain that this is the absolute minimum that you deserve, and remind them of your motives and evidence for your request. You will never be able to force people to empathize with you and give you what you want. But these steps ensure you present your case with the highest possible chances of success. Of course, you need to sprinkle in little details that have to do with your specific situation which has not been captured in this article, but the framework of your demands should stay the same.